One of the staples of our services for over 30 years. 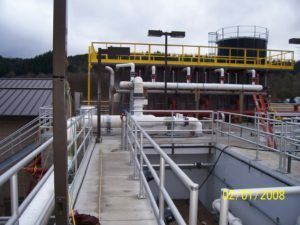 Performing work on Waste Water Treatment Plants & Pumping Stations, Fresh Water Treatment Facilities, Metal plating and Processing plants, Fish Hatcheries, Oily Waste Facilities and beyond. With our seasoned Office & Field staff, We can help you with your next Project. 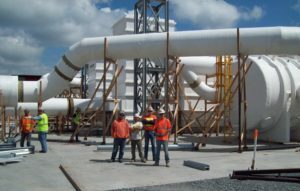 We have extensive experience with installation of Carbon, Chemical and Biological Scrubbers, distribution systems of all types including Fiber Glass Reinforced Plastic Duct Work Fans and components, PVC, HDPE, Aluminum, Galvanized & Stainless Steel to fit your needs and budget.